Our display screen equipment (DSE) e-learning courses are aimed at users of and those responsible for assessing DSE, this could be anything from laptops, tablet PCs, televisions, smartphones, CNC control pads, portable diagnostic screens, equipment containing cathode ray tubes or CRTs. 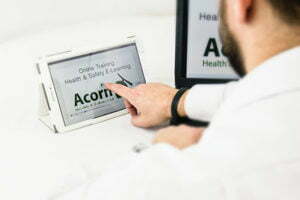 We recognise that e-learning is a cost-effective training method and is becoming an increasingly important part of many organisations training and development activities which is why we now offer a selection of e-learning courses to complement the classroom-based learning we offer on our open courses. We have consciously chosen a provider whose courses are externally accredited by ROSPA, and we like the fact that the training is presented using a blended approach. How do we approach DSE e-learning awareness training? We’ll either grant you an individual licence, or set you up as an administrator for multiple users. Our e-learning platform is available 24 hours a day, 365 days a year and therefore accessible when you or your staff team need it. Our administration team are on hand 9-5, Monday – Friday to answer any software or licence related questions you might have. How do we approach DSE e-learning assessing training? We’ll provide delegates with a unique username and password to login to the secured. On successful completion of this course delegates will be able to print a course. Our ‘e-learning DSE’ courses are is just two of over 60 courses we offer. 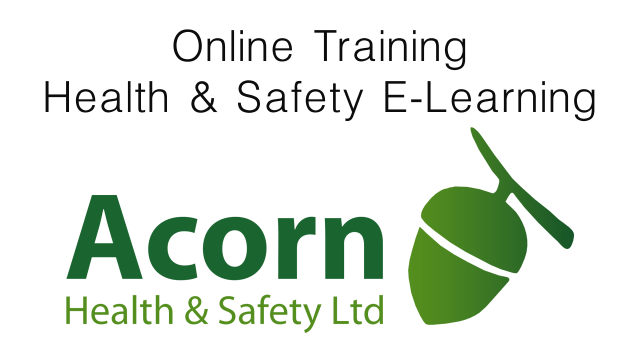 Acorn Health & Safety provides training and consultancy in first aid, fire safety, food safety, manual handling, healthcare training and health and safety.